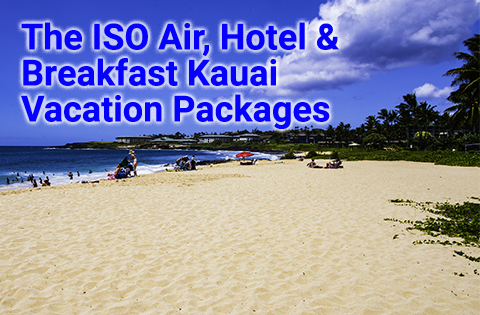 Kauai vacation packages starting at $664 per person, double occupancy. 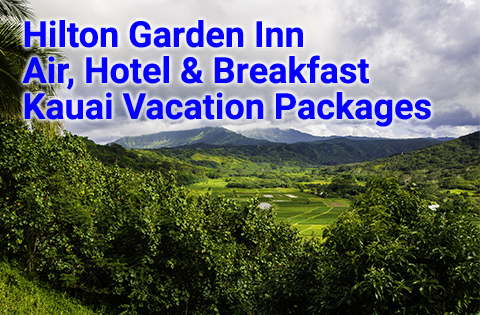 Visit Kalalau Valley on Kauai vacation packages. Kauai is simply one of the loveliest spots on earth. Famed for its unparalleled beauty, it is home to one of the wettest areas in the world, Mt. Waialeale. Then there is the 3,567-foot deep Waimea Canyon, which many call the “Grand Canyon of the Pacific.” Fly over the 3,000-foot high cliffs of the magnificent Na Pali Coast on a thrilling helicopter ride. 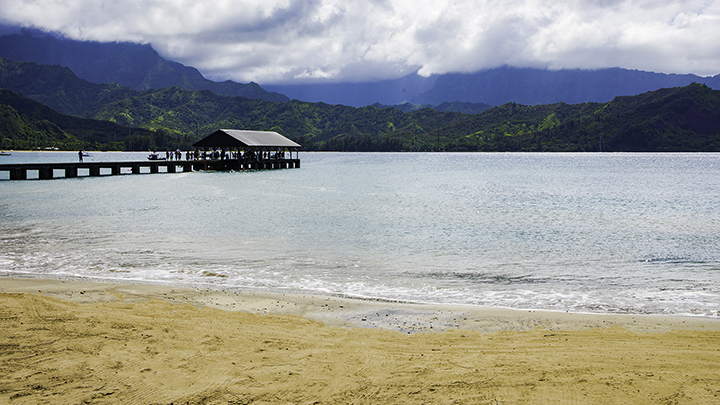 You can also relax on the pristine beach of scenic Hanalei Bay. This scenic place was the backdrop for major motion pictures like The Descendants and South Pacific. Explore the mysterious wet and dry caves, hike secluded Kalalau Valley as well as scenic waterfalls like Wailua Falls. Take a relaxing boat ride on the Wailua River to the secluded and mysterious Fern Grotto. While at night, you can see more stars on the island than you thought existed in the universe. 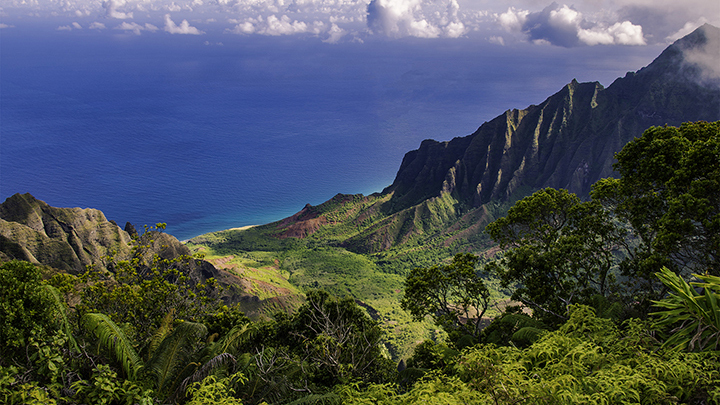 For those who want to get away from the crowds, experience nature at its finest on Kauai. Panda Travel ® has many Kauai vacation packages you can choose from. Moreover, we are Hawaii’s largest travel agency and travel wholesaler. 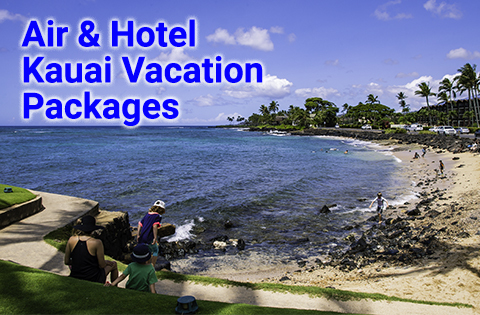 As a result, we can consistently give you some of the best Kauai vacation deals for your travel dollar. 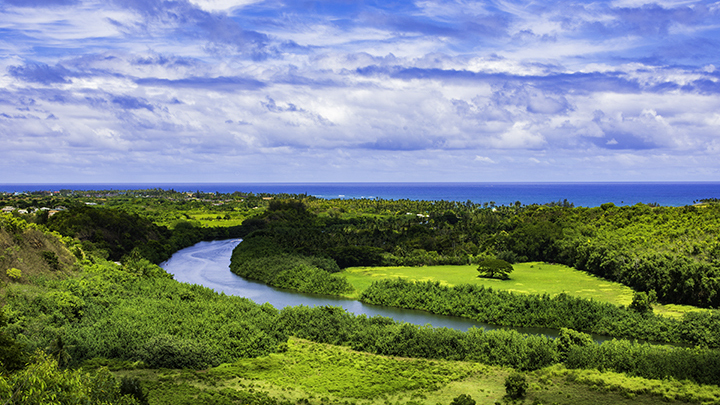 The Wailua River on Kauai. Planning on Visiting Another Hawaiian Island? 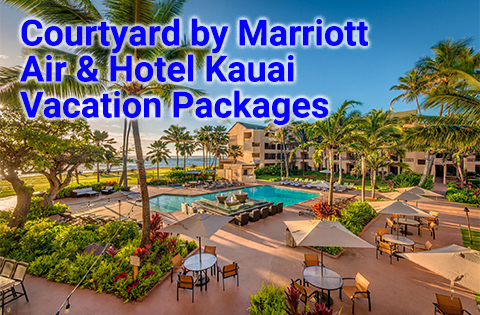 If so, check out our other all inclusive Hawaii vacation packages on Oahu, Maui and the Big Island of Hawaii.